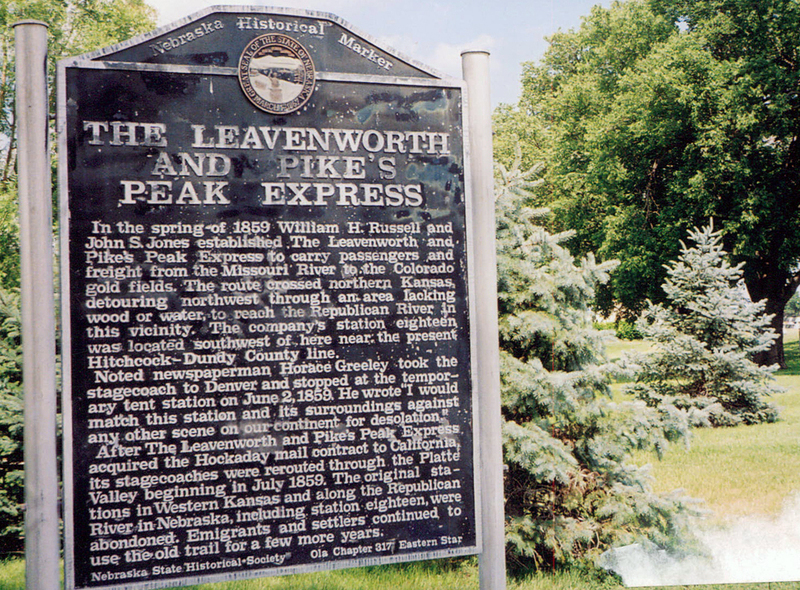 In the spring of 1859 William H. Russell and John S. Jones established The Leavenworth and Pike's Peak Express to carry passengers and freight from the Missouri River to the Colorado gold fields. The route crossed northern Kansas, detouring northwest through an area lacking wood or water, to reach the Republican River in this vicinity. The company's station eighteen was located southwest of here near the present Hitchcock-Dundy County line. Noted newspaperman Horace Greeley took the stagecoach to Denver and stopped at the temporary tent station on June 2, 1859. He wrote "I would match this station and its surroundings against any other scene on our continent for desolation." 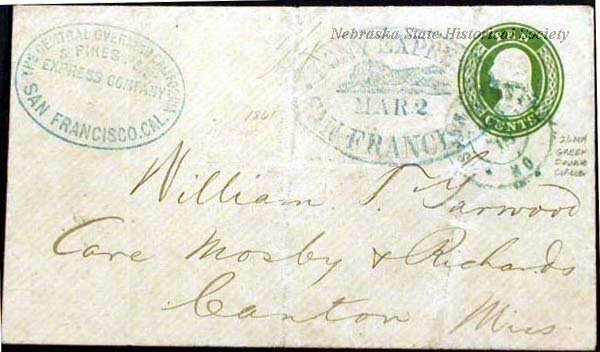 After The Leavenworth and Pike's Peak Express acquired the Hockaday mail contract to California, its stagecoaches were rerouted through the Platte Valley beginning in July 1859. The original stations in Western Kansas and along the Republican River in Nebraska, including station eighteen, were abandoned. Emigrants and settlers continued to use the old trail for a few more years. “The Leavenworth and Pike's Peak Express,” Explore Nebraska History, accessed April 19, 2019, https://mynehistory.com/items/show/276.